Many experienced liveaboards swear that a motorsailer is the best way to go. A motorsailer is designed to be a better performer under power than the average sailboat of equal length. By the nature of their design, they are usually a bit slower under sail than the average sailboat of equal length. 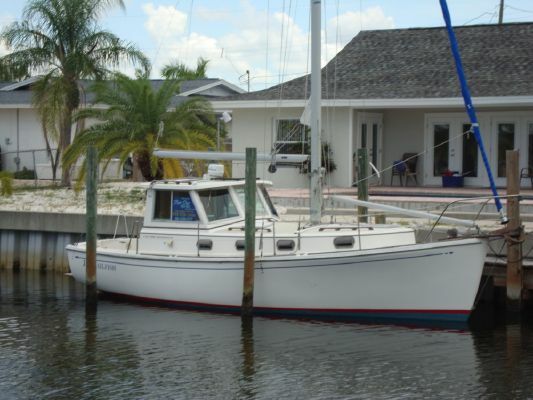 It is one of the types of liveaboard boats that can satisfy both sailors and power boat fans. Many motorsailers have a lot more space than a sailboat because of the typically large deckhouse and hull shape. The motorsailer shown below is has a very large deckhouse and a relatively small sailing rig. 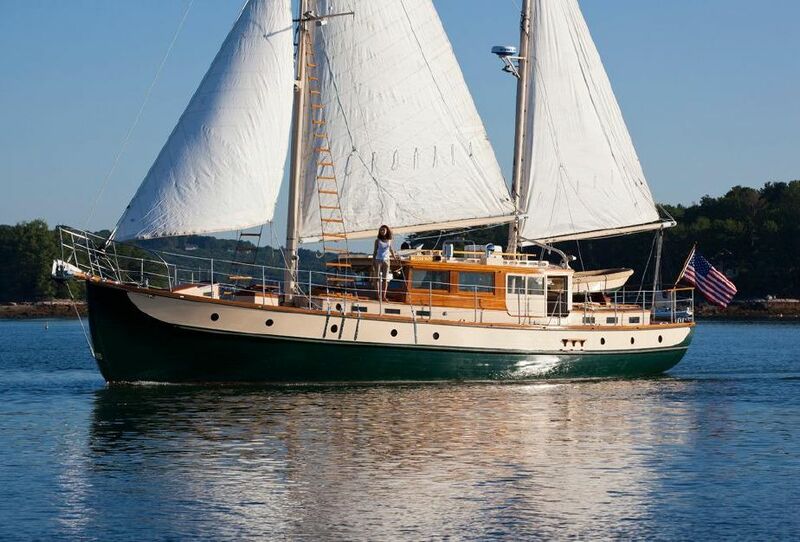 It has a tremendous amount of living space below and would be a very comfortable liveaboard. Note the Bimini Top over the cockpit and the inflatable dinghy on davits. It is all decked out in red ribbons to celebrate Christmas aboard at Burnt Store Marina near Punta Gorda, Florida. 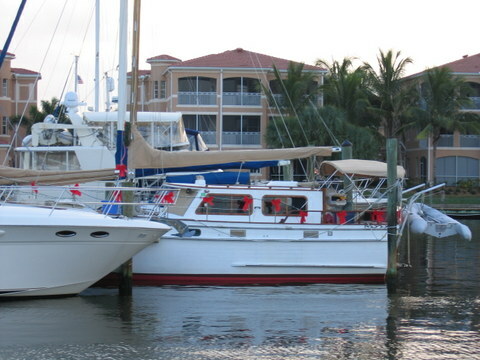 Most marinas are delightful places to be during the holiday season. Liveaboards can be very creative with their decorations. Cape Dory Yachts created a beautiful little motorsailer known as the Cape Dory 300. 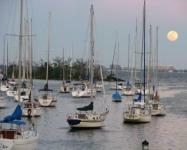 Many of them have proved to be good live aboard boats with good performance under both power and sail. William Hand was a well known naval architect who designed many beautiful motorsailers. This 63 foot beauty was built in 1933 and was for sale in 2018 at YachtWorld.com for one million dollars.